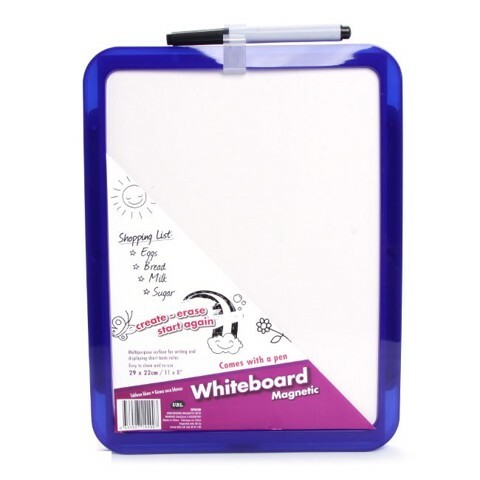 Whiteboard Magnetic W/Marker. 29 x 22cm. White W/Coloured Frame: Blue | Black. Plastic. 136G Packaging: Shrink Wrap with Label.